This edition of The Opportunity Agenda's weekly action alert system offers tools and tips for using breaking news to frame and advance economic opportunity and racial justice solutions between July 18 - 25. 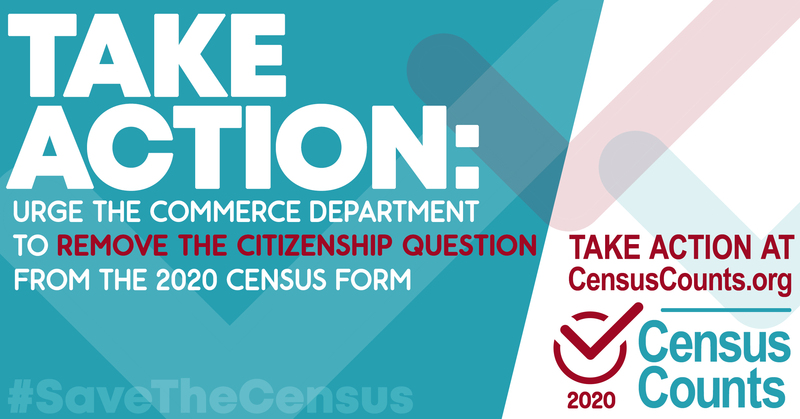 Secretary of Commerce Wilbur Ross’ decision to add a question on citizenship status to the 2020 Census is bad for America. There’s still time for the public to comment on the census until August 7, 2018. 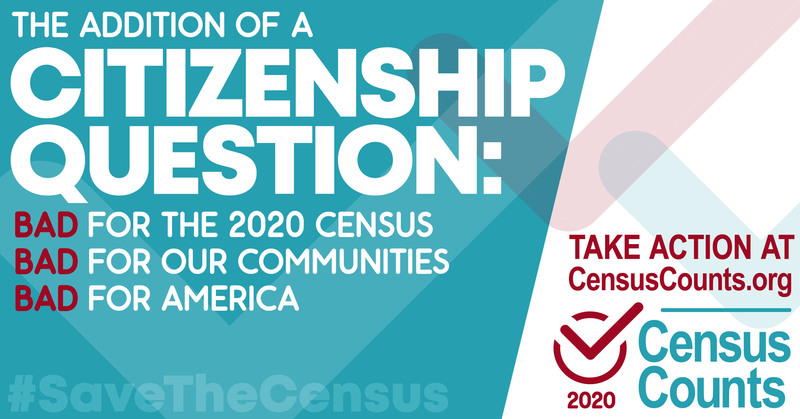 Advocates, like the Leadership Conference on Civil and Human Rights, to see this as “an opportunity to create a strong, clear public record from a range of stakeholders and experts who oppose the addition of a citizenship question to the 2020 Census.” Cite the values of Voice and Equality. Take action: Submit an organizational comment (download). Ask your individual members to submit comments with this action alert (download) (down. Spread the word with letters to the editor, social media messages and images like this or this. More than 100 national, state, and local organizations wrote a letter to the Senate urging them to oppose the confirmation of Brett Kavanaugh to the Supreme Court. They wrote, “Critical civil and human rights issues hang in the balance… and whether the judiciary will serve as a constitutional check on a reckless president.” Discuss the nomination citing the values of Equality and Voice. Use these messaging tools and hashtags. The administration’s “public charge” rule for immigrants could come down this month. This new rule would allow immigration officers to consider whether an immigrant could potentially be dependent on public assistance in order to deny them an immigration status. Discuss this unjust rule using the values of Economic Security and Community. Despite numerous court orders, the Trump administration has failed to reunify all of the 3,200 immigrant children with their families. It’s crucial for us to push for solutions that not only end these practices, but also move us toward productive and real fixes for our problematic immigration policies. Discuss this crisis by citing the values of Voice, Family Unity, and Community. Take Action: Donate to Flights to Reunite Families. Messaging and communication tools: The Opportunity Agenda’s Talking About The Crisis at The U.S. Border; Immigration Policy Solutions: Supporting Child Migrants; America’s Voice Immigration 101: Why is the Trump Administration Separating Immigrant Families And Detaining Immigrant Children? Nelson Mandela was born 100 years ago on this day, . Now known as Mandela Day, it’s a unique opportunity to reflect on his legacy fighting racism and poverty. Use this new peg to discuss the importance of standing up for racial and economic justice. Cite the values of Economic Security, Equality and Voice. The new film Blindspotting, arriving in select theaters this week, focuses on “returning citizens,” friendship and the intersection of race and class set against the backdrop of a gentrifying Oakland, CA. The film will go nationwide on July 27. Use the film to discuss the values of Redemption and Economic Security. Poet Emma Lazarus was born on this day in 1849. Her poem “The New Colussus” is inscribed at the base of the Statue of Liberty and is frequently quoted today in the immigration debate. Use this hook to talk about the importance of welcoming immigrants and refugees to the U.S. and refer to the values of Voice and Community. Forty-six years ago, in 1972, the Washington Star broke the story of the unethical Tuskegee Syphilis Study conducted on 600 African-American sharecroppers. The exposure led to fundamental changes in medical research. Use this anniversary to underline the importance of the media's coverage of people living in poverty and cite the values of Equality and Economic Security. Use the Sargent Shriver National Center on Poverty Law and Chicago Area Fair Housing Alliance's A City Fragmented to discuss decades-long local practices that systemically preserve racial segregation across communities in cities like Chicago. Use the Catholic Legal Immigration Network and Urban justice Center’s Denied a Day in Court to explain how the immigration system fails families seeking asylum, and to provide policy recommendations for how the administration and Congress can address these shortcomings.